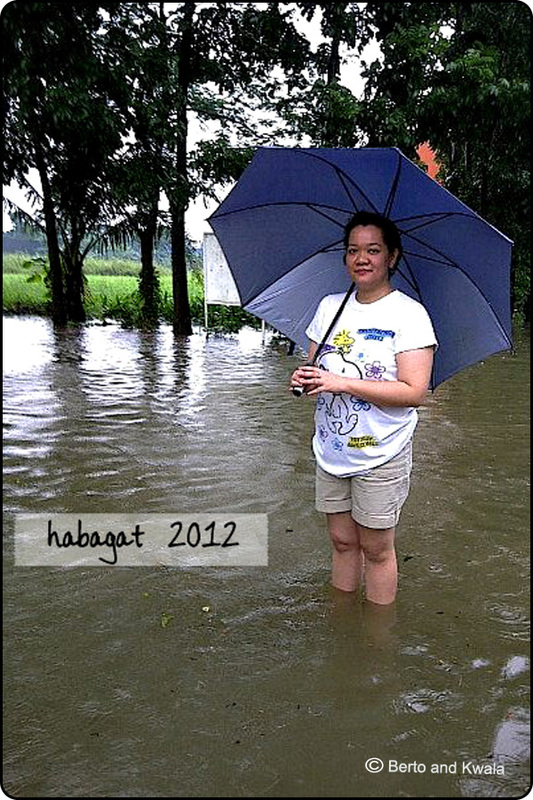 Almost same time last year, the Philippines was pounded with habagat (southwest monsoon). Last year, there was no storm, just ridiculous amount of rainfall. Waters still rose and many suffered. This year, hanging habagat came with typhoon Maring (typhoon Trami) and actually made it worse. The wind wasn’t that bad but the rainfall just wouldn’t let up. Rains actually started last Sunday. Hubby and I got caught in the heavy rains during a photo coverage in Greenhills. It was raining on our way there, during the shoot (it actually worsened) and on our way home. Thankfully, it was announced that night that classes were suspended the next day. Whew! No need to drag our tired butts off the bed on a Monday morning. Yep, we’re still nanny-less. 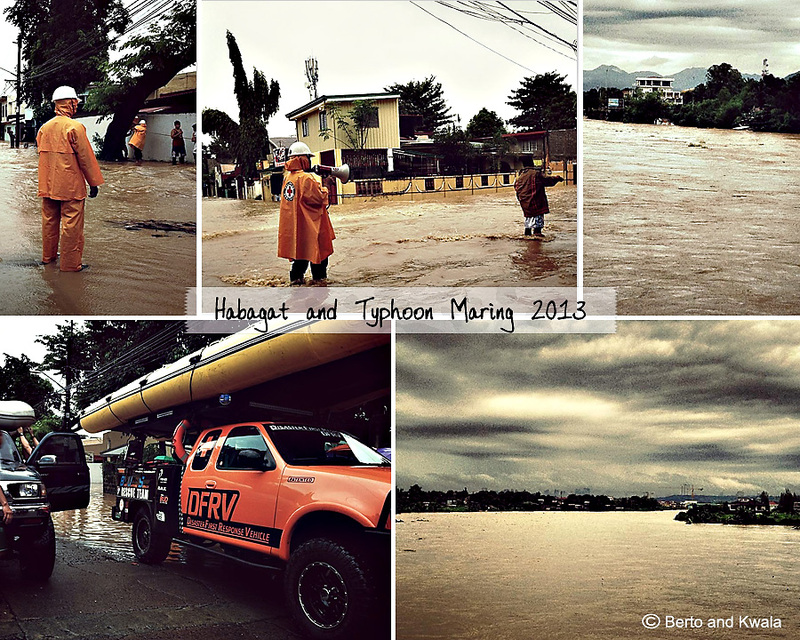 It rained hard on Monday, but I think the South area got the brunt of habagat and maring’s fury. Edsa wasn’t passable, so was SLEX. I really feel sorry for office workers who felt they had to risk their lives just to go to work. Safety first people! Stay home and be with your family instead. These are the times when I really feel grateful for being a WAHM. Tuesday, it was our turn. Marikina and San Mateo got a beating. As expected, the Marikina River rose and overflowed. But having to deal with this problem every year, our local government was prepared. They had rubber boats and rescue teams in place. In the afternoon, when the River reached critical levels and forced evacuation was enforced, the concerned people left their houses voluntarily. I guess they finally learned from past experiences. Unlike residents from other places who choose to stay at home and just ask for food. I can understand how they want to protect their property, but if the waters continue to rise and they get trapped where they are, rescuers will have to risk their lives just to get them, when they were already asked to evacuate previously. I just think it’s a waste of time and energy. Wednesday was a holiday, to remember what Ninoy Aquino did for us Filipinos and our country. Despite the many Aquino antics, primarily by Kris and Noynoy, I still do love this family, especially Tita Cory. Rains continued but not as much as before. Maring finally left the Philippine area of responsibility. All streets of Marikina and most of the metropolis are flood free. In the early evening, Makati announced that classes up to high school level are suspended until Friday. Shortly after other cities including Marikina followed suit. Monday is another holiday (National Heroes Day) so kids will be back to school on Tuesday. Bakasyon en grande! 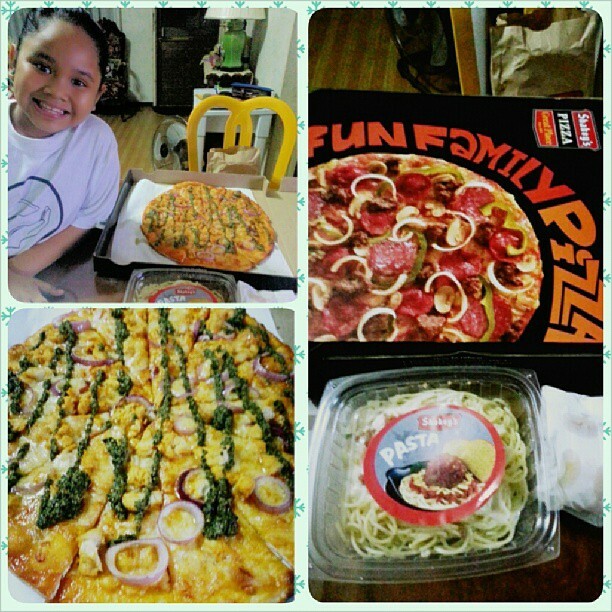 Thankful that we're safe and together in our home, we cherished this bonding time by ordering pizza and pasta from Shakey’s. If you want to help by volunteering your time or giving donations, please read this post. Thanks!